My family and I love to travel so I was excited to have this book, especially since we have a trip coming up where we plan to drive a little bit from city to city. Sadly, not one food establishment is mentioned in either of the two areas we will be in. Even in my hometown area of Dallas/Ft. Worth, TX some of the most amazing restaurants are not mentioned and there are only a few spotlighted. And one of my favorite vacation spots, Cape Cod, only has one mention, even though there are dozens of towns and many great hole in the wall restaurants to business in that area. I also don't like that there are zero pictures. It is a travel guide and a food guide and yet there are zero pictures of anything. I would have loved to see pictures of off the beaten path things to do or even off the beaten path restaurants since that is what this book is essentially about. I realize that 1,000 restaurants is a tall order but I feel like they could have spread the love over more places to be included in the book. 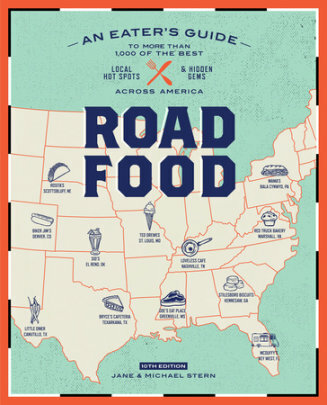 This may be a great guide for a new traveler or someone who would like to try new things to eat but isn't quite to foodie level status yet. It is a good starting point, but I think most people would do better to strike up a conversation with a local or two and ask them where they like to eat. My husband and I have found plenty of great restaurants in our travels that way. However, for states I am unfamiliar with, this book would be a good guide of where to stop in those places.